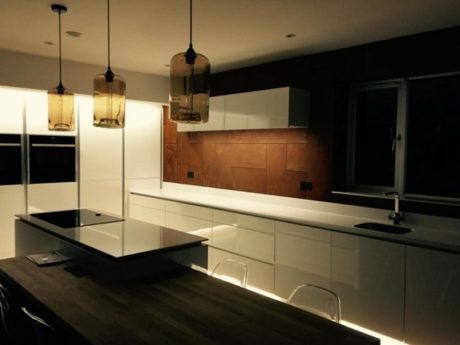 Chandler Stoneworks design and install fantastic Worktops & Fireplaces for homes and commercial use in Winchester and surrounding areas, we use the best quality materials including: Granite, Marble, Limestone, Slate, and Quartz Composite. You will be provided with an expert project manager who will liaise with our specialist team of designers and stone masons who, with a proven track record for quality, are dedicated to providing you the best possible service. When we are at your home we take great care in the installation process including laying down sheets and cleaning any mess made after the worktop installation is completed. Call Chandler Stoneworks for a free no-obligation quote or expert advice on 01903 885941.